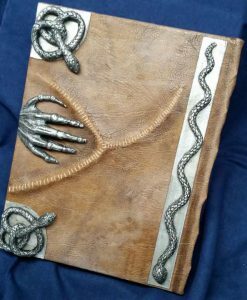 Known as the Manual of Witchcraft and Alchemy, this nefarious book was given to the late Winnie (Winifred Sanderson) by the devil himself, and contains a myriad of arcane spells and powerful recipes for destruction and mayhem. 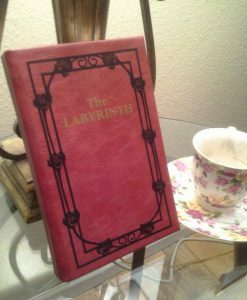 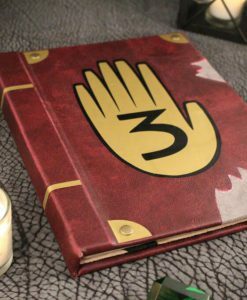 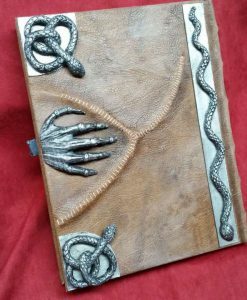 Crafted by hand, this book is rumored to be bound in human skin and written in human blood (rumors we will neither confirm nor deny). 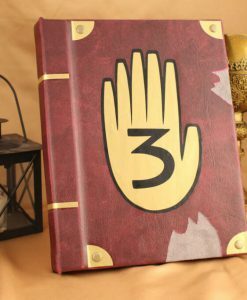 The book awakens to the call of its master (usually something to the tune of, “Boooooooooook!”), indicating some level of awareness and even of intelligence. 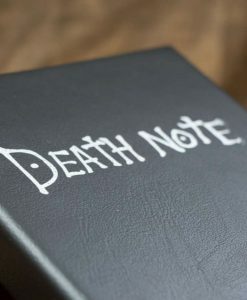 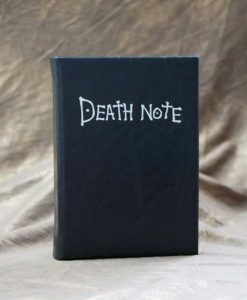 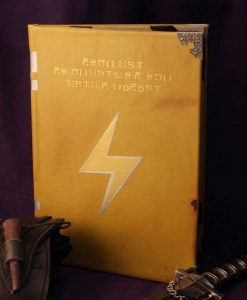 A book that cannot be burned, destroyed by conventional methods – useful in tactical situations. The Manual of Witchcraft and Alchemy is known to contain all manner of dastardly contents, including spells and incantations to drain one’s life-force to replenish youth, cursing a victim with immortality, transforming victims into cats, raising the dead, cursing victims with boils and blisters, and so on and so forth. 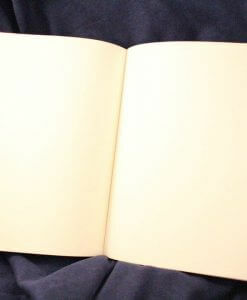 Real unregulated stuff. 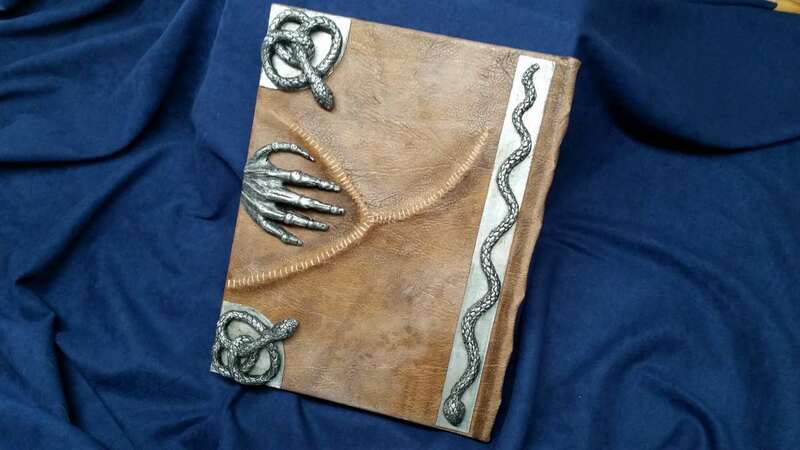 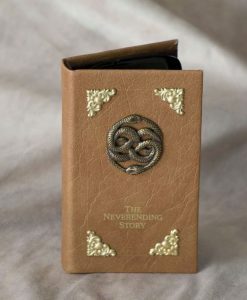 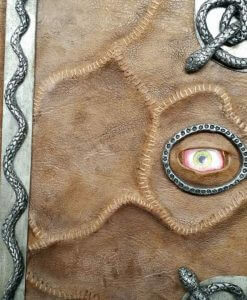 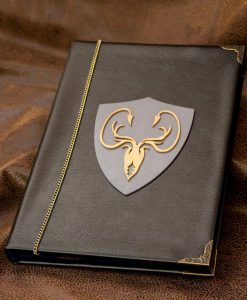 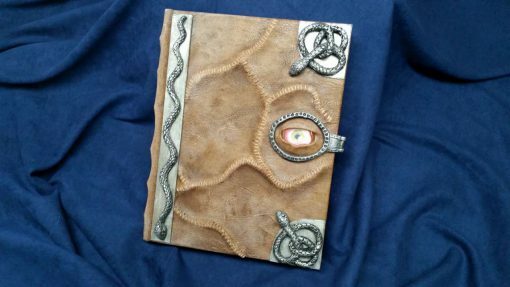 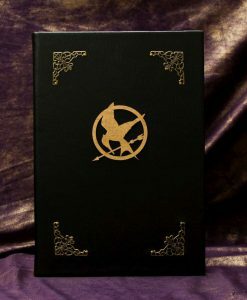 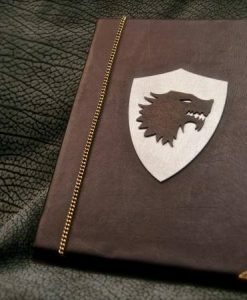 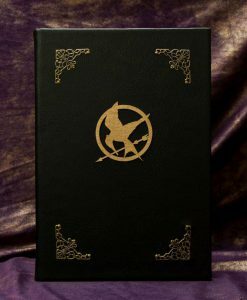 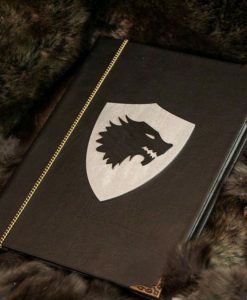 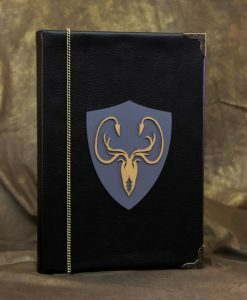 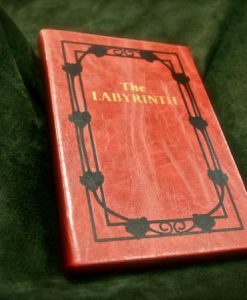 This book is a ponderous yet sturdy tome, approximately 9 x 11″, and bound with serpents and a magnetic clasp on the front and back, and a wicked claw clutching the back of the book. 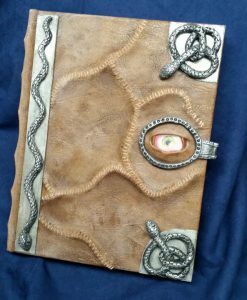 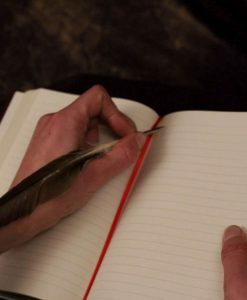 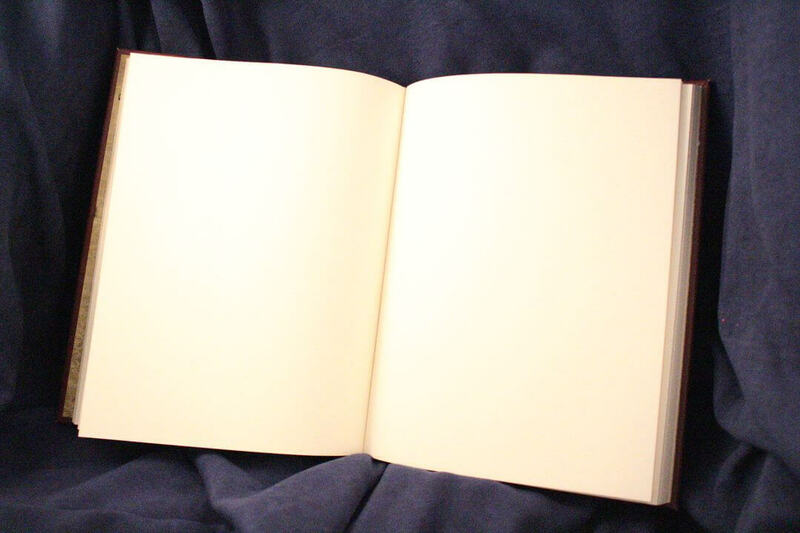 A handbound replica of the spell book from Hocus Pocus, it contains approximately 140 pages of blank, unlined acid free paper, to fill with your own witchy ruminations and warlockish inclinations. 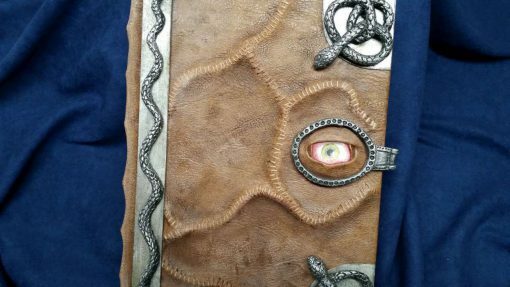 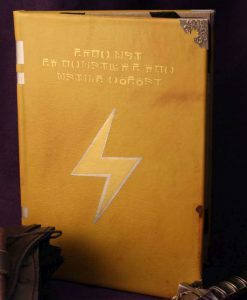 While this listing is for a blank 8.5 x 11″ book, this marvelous replica spellbook (inspired by Hocus Pocus) can also be made by special request as a custom device cover, made to fit Kindle Fire, Kindle Paperwhite, Kindle Touch, Apple iPad, iPad Air, iPad Mini, Samsung Galaxy, Google Nexus, Nook, or any of the thousand other mystical scrying devices used to navigate and uncover the mysteries of the modern world. 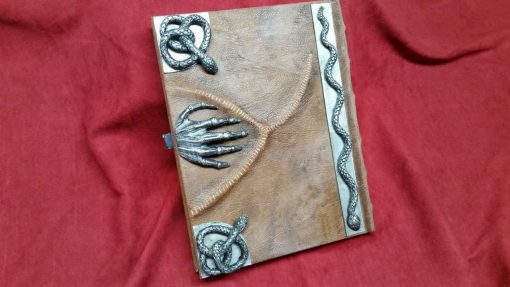 Also available in sketchbook, diary, journal, and other paper forms, for those who prefer to fill their books with their own magical works, or ink their own blood upon the page. 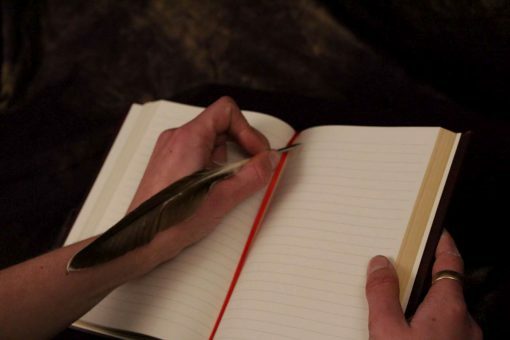 Be careful what you write though – this book might write back.